Radon is a radioactive gas that can be found in homes across the United States. Living with high levels of radon poses a risk to your health; one of the long-term dangers of radon in your home is cancer. It’s important to know the levels of radon in your home by having your home tested by a certified professional. Rocks and soil contain small amounts of radon gas, which forms naturally from the decay of radioactive elements like uranium. It typically enters a home through the foundation which is why it’s important to test the lowest level of a house to determine whether or not hazardous levels of radon exist. Not only can radon enter a home through basements and crawl spaces, it also can come into your living space through other gaps and cracks, like those around loose-fitting pipes or construction joints. Radon is never visible. Not only is it invisible, but it also has no odor or taste. The only way to gain an accurate reading of your home’s radon levels is through professional testing. What Types Of Health Problems Can It Cause? Lung cancer is the most common health problem caused by radon, but it can also cause gastrointestinal disorders and cancer of the GI tract if it is present in your drinking water. While smoking cigarettes causes the most cases of lung cancer, radon comes in second. Radon gas causes an estimated 20,000 lung cancer deaths per year in the United States. Who Is Most At Risk From The Dangers Of Radon In Your Home? Unlike many environmental hazards, everyone is vulnerable to the effects of radon, and factors like your age or gender are often completely irrelevant. However, it is important to note that people who are elderly, very young, or have a compromised immune system suffer increased risks from the dangers of radon in your home. Who Should Test Your Home For Radon? It’s always best to have your home professionally tested and mitigated if your radon levels are high. Cheap DIY radon testing kits often return inaccurate results due to user error or an ineffective product. The only way to know your radon levels for certain is to hire a certified professional inspector to perform a test. Many believe a radon test takes 48 hours, but that is accurate only if the house has been closed up before radon testing begins. 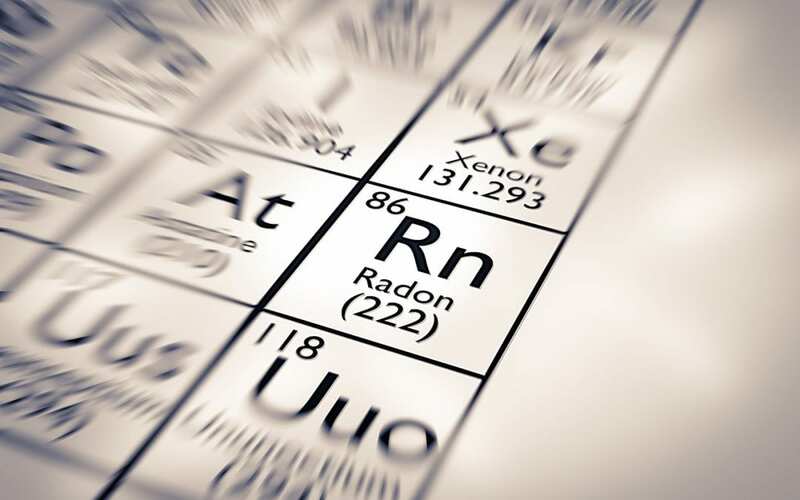 The EPA requires radon testers to extend the testing period by 12 hours minimum if closed house conditions have not been met or maintained throughout the duration of the test. This equals a total test time or device placement time of at least 60 hours for active testing devices. Passive devices like charcoal canisters should remain in place for up to 96 hours from the start of closed house conditions. Once placed, many manufacturers require a minimum of 72 hours even when closed house conditions are maintained to achieve accurate results. The actions of a home inspection itself disrupt closed house conditions. Opening windows, operating ceiling fans, and turning on the heating and cooling for extended periods of time are all violations of closed house conditions. Unfortunately, extending the testing period at the end of a home inspection gets overlooked. We’ve created a radon testing video with more information to better educate our customers and property sellers. Inaccurate testing can create false high levels as well as false low levels. How Can Radon Be Removed From Your Home? Professional radon mitigation companies install radon mitigation devices that continuously remove the gas from your home. Sealing up gaps and cracks in the foundation and walls can also prevent radon from entering your home. If the radon test reveals a level of 4 pCi/L or higher, it is important to call a radon mitigation service. How Long Will It Take To Mitigate The Dangers Of Radon In Your Home? It varies considerably, but once the mitigation system is installed it begins reducing radon levels right away. You should continue to have periodic radon testing to monitor the levels after the mitigation process begins. Aztec Home Services provides professional radon testing and other inspection services to Harrisonburg, VA, and the surrounding areas. Contact us to book your appointment.